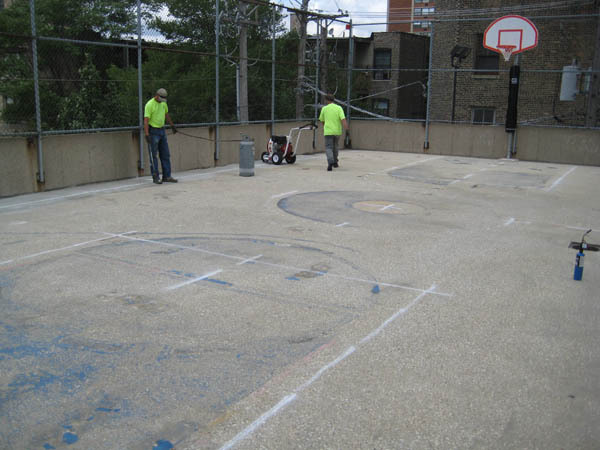 Game Court Markings - Accurate Striping, Inc.
Situation: Lakeshore Living Apartments exterior rooftop full basketball court surface and striping rehabilitation. Task: Repair damaged surface areas and replace game goals (done by others). To prepare the surface with color background and stripe. Action: Accurate Striping was contracted to high-pressure wash and etch surface removing all soiling in preparation for the client’s choice of a full-color background epoxy. 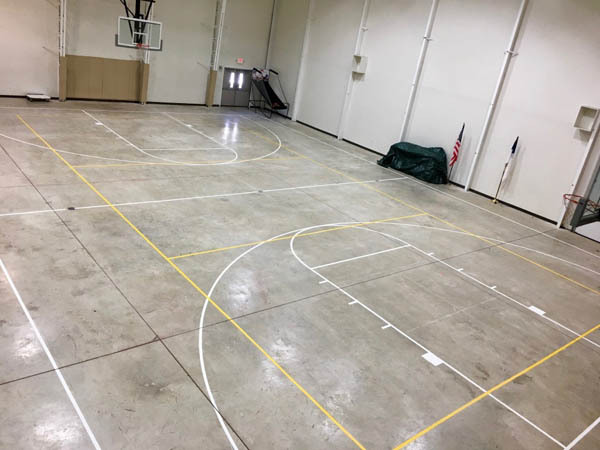 We then laid out the area to regulation standards. 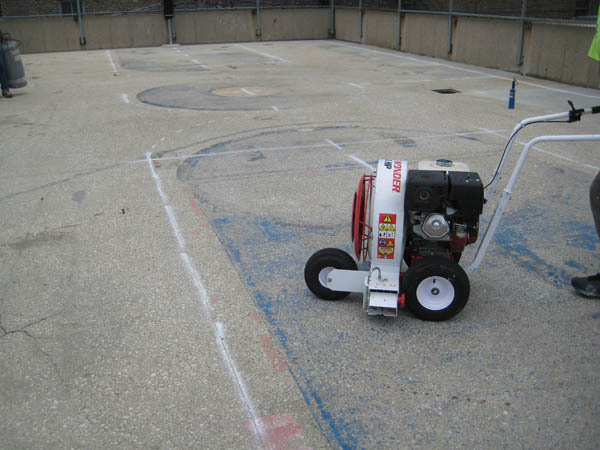 Using only the highest quality materials our experienced team mechanically striped the beautiful court markings. 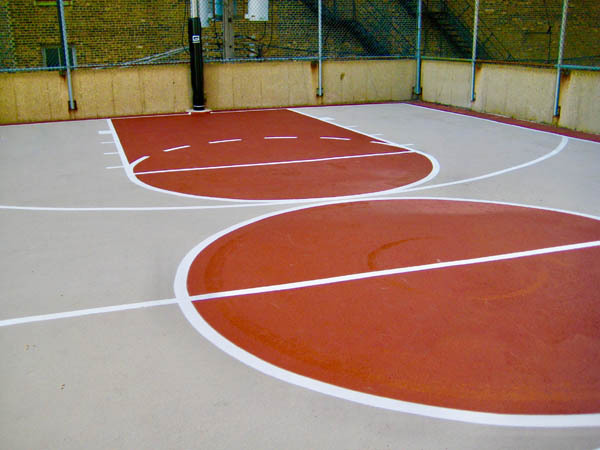 Result: The client expressed not only that Accurate Striping had exceeded expectation but that the entire area had been beautified and the complex’s residents were out in greater numbers enjoying the improvements.